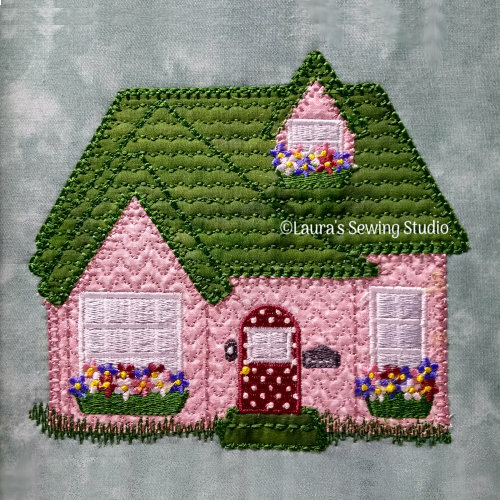 I’ve been holding onto this artwork for a long time but I didn’t think anyone would be interested in embroidery cottages. I decided to start making these anyway. I love them myself and am anxious to make projects with them. I have so many projects in mind for them. I created several hand look stitches for sewing onto heavier fabrics like fleece and wool, but incorporated them into these sew outs as well for truly original designs. These sew outs I used regular quilting cotton fabrics as well. They are full of details. I can’t stop looking at them! 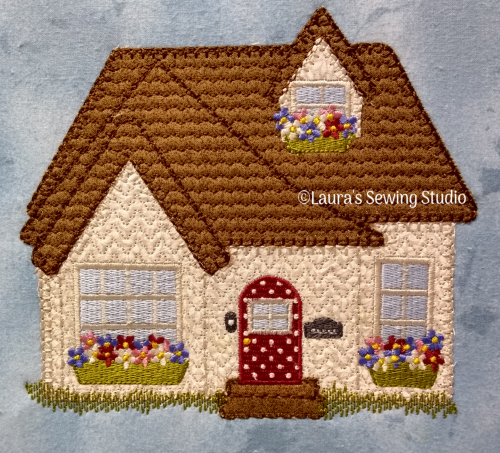 There are 3 appliques in these designs – house, roof, and dormer. The four inch design should be available early next week. « Frilly Doodles No. 5C – Freebie!